The overall average of all ratings on all markets comes out to 4.8 out of 5 stars. Not too shabby, compares very nicely with other university apps out there. 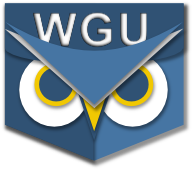 With that said, very few people take the time to rate or review PocketWGU in the markets. At the time of this posting, there were a total of 113 ratings which works out to only 1.5% of users who've tried the app. That's a shame, and we REALLY wish more folks would give us a rating or review. If you like the app, please consider rating it in the market from which you downloaded it. Like many developers of free software, we live for the feedback!